An Exempill of Tripla; the Golden Paven; So Prayiss Me and O Lusty May are four examples of the polyphonic tradition of Renaissance Scotland. Such part-music was called Musick Fyne, and reached its' greatest heights in the deeply moving and virtuosic work of Robert Carver who died c.1568 at a time when the Calvinist Reformation was taking a stronghold of Scotland's spiritual and political life and sounding the death knell for polyphonic music. These pieces are slight in comparison to Carver's work, but are certainly worth hearing and performing. They can, if so desired, be successfully performed as a suite. 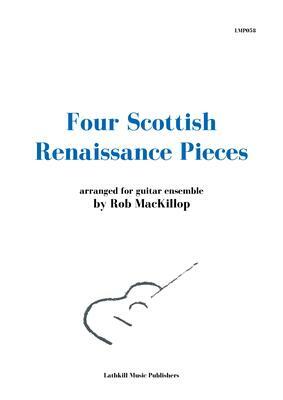 Rob MacKillop, one of Scotland's leading guitar and lute performers, and is a committed researcher and educator of Scottish historical and contemporary music.